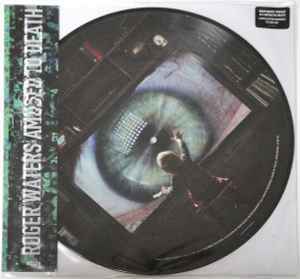 "The 2015 Limited Edition, numbered 2 LP picture disc vinyl features art by Sean Evans, the creative director of Waters 2010-2013 "The Wall Live" tour and movie. The materials used to create picture discs and color vinyl are not the same as traditional vinyl. Picture discs will have an inherent surface noise in playback." Pressed By information is not listed. Information derived from runouts. My Number is 5406, EU-version. I got number 9945. It's an EU version. Some of the Picture Disc are also made in USA. They look the same, but the text around the bottom says. 88875065801A P & © 1992, 2015 Columbia Records, A Division of Sony Music Entertainment. All rights reserved. Made in the EU. BIEM / GEMA. LC 00162. From the pictures I have seen it looks like the USA ones has the lower numbers, while the EU has the higher ones. But can`t be 100%, it`s just based on the ones I have seen. Even if it was original said there was only going to be made 2500 copies world wide, there have been seen ones that goes over 10 000.